Originally built for Alfred duPont by Carrere and Hastings in 1918 and named White Eagle, the house was eventually deeded to Frederick E. Guest, and his wife Amy Phipps. 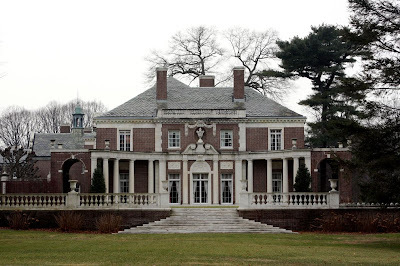 When the house was put up for sale in 1921 by Mrs. duPont, Amy Phipps' brother Howard purchased the house at an auction that took place in the living room, attended by the likes of J.P. Morgan Jr., H.P. Whitney and Paul D. Cravath. Somewhere along the line the house was then passed or sold to the Guests. Their son Winston inherited the estate, giving it the name Templeton. The Guests were cousins of Winston Churchill. Click HERE to see where Templeton is on google earth. 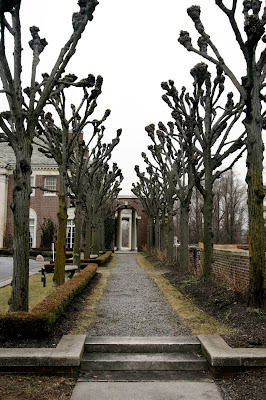 The house is currently owned by NYIT, and serves as the deSeversky Conference Center. 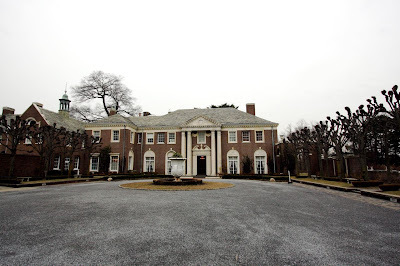 Do you have images of "TEMPLETON II", the Guest estate located on Willets Road in Old Westbury? I understand Cornelia Guest has put the property on the market. I do not have pictures but go to danielgale.com and enter #1011134 and you will see its listing. $20 million dollar price tag.